Home What is the morally appropriate language? Only a few weeks after the mother tongue/masterpiece incident, I was on a live radio show in London. The other guest was an English historian who, in reply to a question from the interviewer, composed a paean to British imperialism. “Even you,” he said, turning to me imperiously, “the very fact that you write in English is a tribute to the British Empire.” Not being used to radio shows at the time, I stayed quiet for a while, as a well-behaved, recently civilized savage should. But then I sort of lost it, and said some extremely hurtful things. The historian was upset, and after the show told me that he had meant what he said as a compliment, because he loved my book. I asked him if he also felt that jazz, the blues, and all African-American writing and poetry were actually a tribute to slavery. And if all of Latin American literature was a tribute to Spanish and Portuguese colonialism. The night of that reading in Kolkata, city of my estranged father and of Kali, Mother Goddess with the long red tongue and many arms, I fell to wondering what my mother tongue actually was. What was—is—the politically correct, culturally apposite, and morally appropriate language in which I ought to think and write? It occurred to me that my mother was actually an alien, with fewer arms than Kali perhaps but many more tongues. English is certainly one of them. My English has been widened and deepened by the rhythms and cadences of my alien mother’s other tongues. (I say alien because there’s not much that is organic about her. Her nation-shaped body was first violently assimilated and then violently dismembered by an imperial British quill. 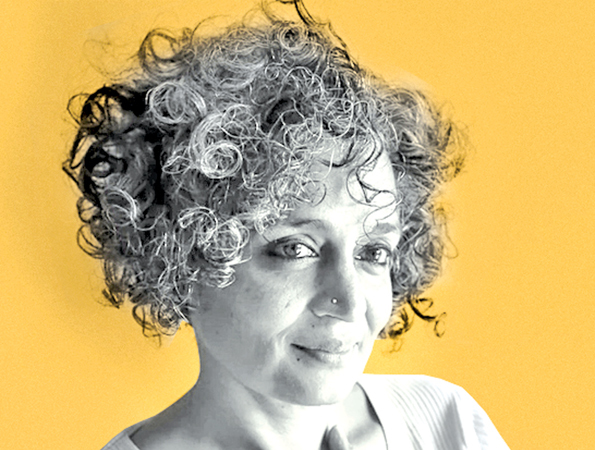 I also say alien because of the violence unleashed in her name on those who do not wish to belong to her (Kashmiris, for example), as well as on those who do (Indian Muslims and Dalits, for example), makes her an extremely un-motherly mother. How many tongues does she have? Officially, approximately 780, only twenty-two of which are formally recognized by the Indian Constitution, while another thirty-eight are waiting to be accorded that status. Each has its own history of colonizing or being colonized. There are few pure victims and pure perpetrators. There is no national language. Not yet. Hindi and English are designated “official languages.” According to the Constitution of India (which, we must note, was written in English), the use of English by the state for official purposes was supposed to cease by 26 January 1965, fifteen years after the constitution came into effect.